CNN announced it has “accepted the resignation” of contributor Donna Brazile. Leaked Clinton campaign emails released by WikiLeaks earlier this month and Monday show that Brazile shared questions with the Clinton camp before a March primary debate and a town hall. CNN said in a statement that Brazile resigned October 14. 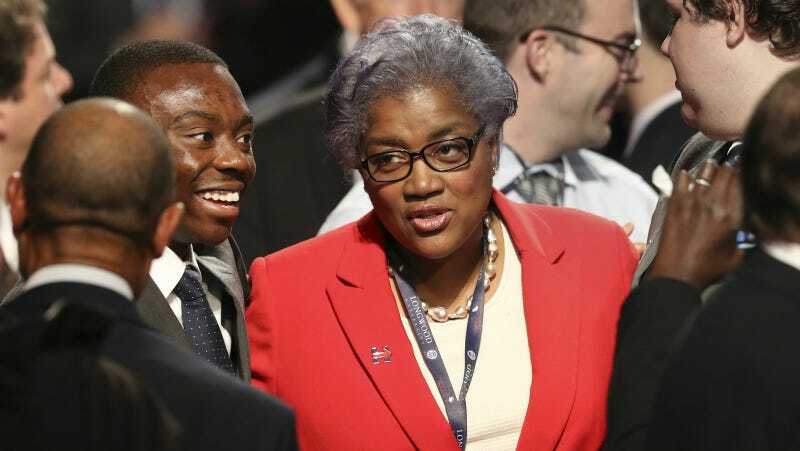 Brazile is now the interim chair of the Democratic National Committee, a post she took over after Debbie Wasserman Schultz stepped down in the wake of leaked emails suggesting she and her staff backed Hillary Clinton over Bernie Sanders. The next night, a woman named Lee-Anne Walters asked both candidates that question. “After my family, the city of Flint and the children in D.C. were poisoned by lead, will you make a personal promise to me right now that, as president, in your first 100 days in office, you will make it a requirement that all public water systems must remove all lead service lines throughout the entire United States, and notification made to the — the citizens that have said service lines,” the town hall attendee asked. Brazile responded briefly and obliquely on Twitter. That’s clearly not true, though. It’s unclear if the DNC will also ask Brazile to resign.